Finding out you’re pregnant can be such an exciting moment, especially for couples who really planned everything out. Having a baby on the way entails a lot of future joy and happiness, but it also requires both parents, particularly the mom, to be much more stringent when it comes to the type of nutrients she’ll take. After all, it takes nine months to give birth to a baby and what mommy consumes before giving birth will determine just how healthy the baby will be. When you check with your family doctor, one of the first things they tell you is the importance of prenatal vitamins and other pregnancy supplements, and how it improves the outcome of pregnancy advice. No, your doctor isn’t just telling you to buy his supplements; recent studies show prenatal supplements, such as prenatal DHA, help reduce infant health risks among as well as a multitude of pregnancy complications. 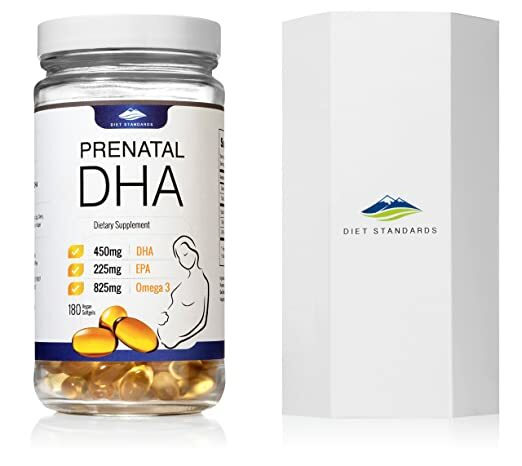 Prenatal DHA is among the most recommended prenatal supplements. It is the most abundant fatty acid found in our brain and is key when it comes to a child’s brain, nerve, and vision development. As with any supplements, it all boils down to one question: Do you need to take prenatal DHA? Prenatal vitamins are formulated to lessen the risks and complications of pregnancy and are considered critical for both mother and child. The benefits prenatal vitamins and supplements provide are well-documented and can be the safest choice for an expecting mom to manage her pregnancy. Another reason to add prenatal DHA is how deprivation results to visual and behavioral disorders, two things that cannot be remedied by supplementing after giving birth. Other than DHA, typical prenatal vitamins are folic acid, iron, calcium, vitamins A, B, C, D, and other minerals. The difference between prenatal vitamins and typical multivitamins are the formula and how they were manufactured. Unlike typical supplements, prenatal vitamins avoid the use of artificial colors, preservatives, and invest more in natural ingredients. Most women take iron supplements by default, but pregnant moms need to take more as it is responsible for the baby’s cell growth as well as benefit the baby’s ability to absorb nutrients. Not to mention pregnant mothers need fifty percent more blood than normal, and iron helps the body produce more blood. Not just for bones and teeth, calcium supplementation during pregnancy has been known to reduce occurrences of heartburns and even pre-eclampsia,  a condition described as the mother having abnormally high blood pressure caused by a protein “leak” from the kidneys that ends up flowing into the uterus. Suffice to say, the protein leak is dangerous for the baby as well. Folic acid is regarded as the most important supplement both expecting and non-expecting women should have. Some of its pregnancy-related benefits include improved fertility, healthy brain development, and reduced risk of neural tube defects. Multivitamin no folic acid? No thanks. As discussed earlier, DHA is critical for healthy fetal brain development as well as prevention of pre-term labor and postpartum depression. This fatty acid is mainly sourced from the fats of oily fish and seafood together with EPA. While DHA and EPA essentially similar in terms of benefits and source, the latter is a whole other form of omega-3. It varies to what your doctor prescribed, but most supplements recommend taking one capsule after a meal per day. Prenatal DHA supplementation should start before amd during pregnancy, as well as after giving birth specifically when breastfeeding. Women who want to conceive should allow at least six months prior to conception to build up the necessary DHA inside her body. Multiple pregnancies require more DHA, so the dosage and frequency of intake adjusts accordingly. The baby absorbs nutrients through three ways: mom and baby’s blood circulation, the placenta, and the umbilical cord. All nutrients pass through the placenta while the placenta acts as a sort of filter that removes the unnecessary metabolites. The placenta technically plays the role of kidney, gut, and liver for the baby. Can you take too much DHA? DHA overdose is next to impossible if your only source is diet, but supplementation can definitely spike your levels beyond what the FDA recommends – which is around 300 – 1000 mg per day. With both EPA & DHA, the FDA says to not go over 3,000 mg.
One of the known risks of too much DHA is blood thinning. Blood thinning may not be that bad for normal, healthy individual, but could result in excessive bleeding when the mom finally delivers the baby. Other potential side effects are headaches, nausea, dizziness, and even vomiting. The problem with overdosing on DHA is not just DHA itself, but where it’s extracted from as well as how it was manufactured. When taking prenatal DHA, make sure it’s molecular distilled or sourced from algae, which is the original source. If not, the product you’re taking might have trace amounts of pollutants like mercury which can adversely affect the health of the baby. On top of being a sustainable resource of DHA, algae oil is also known to be contaminant-free when raised in a clean farm. By contaminants we mean the likes of heavy metals found in the ocean such as mercury, a pollutant found in wild fish. How does mercury get into our fish anyway? Methylmercury is dumped into waters through coal plants, mines, and even natural sources such as volcanoes. Almost every fish in the sea absorb some of this mercury, but its levels are still safe for the human body to eat. The problem starts when a bigger fish consume a smaller fish which then results to more mercury. This cycle goes all the way to apex predators like swordfish and shark, creatures that have extreme levels of mercury. The best perk of fish oil is its abundance and market popularity. Its current dominance makes it much more economical to produce and sell. Some of the drawbacks include spoilage, likely contains contaminants, overfishing is a risk, and people aren’t exactly fond of its taste and smell. The best thing about algae oil is how it doesn’t have the same humanitarian issues of its scaly counterpart. It’s enjoyable by both meat eaters and vegetarians, and is definitely much more sustainable. Not to mention it’s technically clean of contaminants. It’s really just too expensive at the moment, but increased supplies should make it have a more attractive pricepoint in the future. What is the Best DHA Supplement? Here are some ways to verify a great prenatal DHA supplement. Trusted brand name. Great brands may be expensive, but they have the highest standards of quality and safety. You’re also buying something for your new baby, so think of it as an investment for your child. Essential nutrients. There are benefits taking prenatal DHA supplements and it’s critical to understand not just the nutrients in the supplement, but also the respective dosage of each. For DHA, a supplement must have at least 300 mg per serving. Source of DHA. Fish-derived prenatal DHA supplements will always be sold at a lower cost than ones from algae, but the purity and quality of algae oil makes it an appealing alternative even to non-vegans.